TPC designs and supplies high quality, high performance cord, cable and accessories that increase uptime and solve difficult problems in harsh industrial environments. Chem-Gard® 150 with Defender® Technology is the first product in our Defender® Technology line to provide a solution to bacteria, fungus and mold growth on the cable jacket. A silver ion based antimicrobial additive provides built in lasting protection for the life of the cable while effectively eliminating greater than 99% of gram-negative and gram-positive bacteria, fungus and mold within 24 hours. The presence of heat, moisture and organic materials in food processing plants create an ideal environment for bacteria, fungus and mold to grow on equipment. Stringent cleaning requirements are daily rituals in the food and beverage industry. Chem-Gard® 150 with Defender® technology adds another level of protection with its built in antimicrobial jacket. If a cable fails a visual inspection, the down time can cost a facility thousands of dollars in lost production. TPC's Defender® technology will increase the cable life in this harsh industrial environment while inhibiting bacteria, fungus and mold growth on the cable jacket. 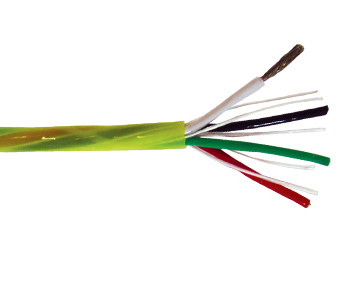 Please click the product image to learn more about our Chem-Gard® 150 Cable with Defender® technology.